Mayoral candidate Garrett Brown’s campaign slogan, “All in for Albion,” is more than a catchy call to vote. To Brown, it is a representation of his work ethic — If he is going to make a commitment, he is going to commit to accomplishing it well. Brown has deep roots in Albion. He graduated as valedictorian after 12 years at Albion Public Schools and went on to attend Princeton University. After graduating in 2009 with a B.A. in religious studies, he moved home to give back to his community. 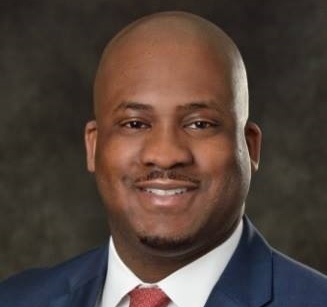 Currently, Brown is finishing his sixth year as city councilman for Albion’s third precinct while working towards a Master of Science in marketing research from Michigan State. Since 2015, he has been a board member for Albion’s planning commission, which recommends zoning regulations to the city. On his campaign informational leaflet, Brown has highlighted four issues he will address if he becomes mayor — grow Albion’s economy, improve city services, fix infrastructure and improve quality of life. Growing Albion’s economy is top priority for Brown. Working closely with Albion’s Economic Development Corporation (AEDC), which manages nonprofits that recruit and assist businesses, he plans to implement a survey of all businesses currently in city limits. This will allow Brown and the AEDC to match businesses with county, state and federal resources and connections suited to their personal needs and merchandise. Brown will also put “pressure” on the AEDC to make a more concerted effort to reach out to potential employers that meet citizen needs and bring them into the city. These businesses could be industrial, but Brown also wants to bring in “staple stores” for Albion residents, like groceries or clothing outlets. These stores provide the most basic needs to individuals but there are not enough in the immediate area for citizens. In recent years, Albion has had to cut dozens of city positions to meet budgets, reducing, for example, a 40 police officer payroll to 18 and a full planning department to one individual. Brown wants to help employees who remain whose duties are stretched by allowing the city council to review and amend the policies and procedures of city government. He hopes the council will discover easier means to perform certain governmental duties so city workers can maximize their efforts. As a member of the chair that reworked the city’s website, Brown also sees the importance of making Albion’s city services and resources easily accessible online. Michigan is infamous for its poor roads, and Albion is no exception. While state revenue sharing has decreased since the 2008 recession, Brown has a number of financial methods to improve streets in the city. One “traditional” method is to continue Albion’s street millage, which uses a percentage of property taxes to fund road work. However, the amount of money it brings in, Brown said, is an issue. Median listing prices for homes in the area are $69,900. Michigan’s average is $126,800. In order to fund more roads, housing prices need to improve. Housing, fortunately, is a major component of the city’s latest master plan, and Brown realizes that seniors – who make up a large demographic of the city – and millennials – who he hopes to draw in – are essential to this issue. Brown wants to make sure their housing needs are met. Brown believes removing blighted buildings and vacant lots will make Albion more attractive and make neighborhoods safer. He wants to capitalize on a Calhoun County Land Bank initiative that pays groups several thousand dollars to maintain parcels of land during summer months. This helps reduce the cost of maintenance of these lots while rewarding the group and its volunteers. Brown also plans on using assessments to quicken the pace of road fixes. In these assessments, the city would spend a sum of money to improve a certain street, and the residents of that street would match it with a percentage of the money the city spent. Part of the role a mayor has is to become a symbol and ambassador for their city. As mayor, Brown will communicate with his community to discuss their needs and to inform them on what the city is doing, a component to the local government he believes is currently lacking. Brown will also communicate with the county and state so that Albion’s needs and successes can be heard. Thanks for the article, I DO hope you will be running an article on the other viable candidate; Cheryl Krause. One of our editors, Steve Marowski, published his piece about mayoral candidate Cheryl Krause on Halloween. We have the link for you right below. Thank you for reaching out to us!